Rizvi House, 1st Floor, Junction of Hill Road & St. Martin Road, Bandra, Mumbai - 400050, Maharastra, India. Rizvi Group began its foray in the field of business in the year 1975 with focus on the real estate development in Mumbai. In a short span of time Rizvi Builders the flagship brand’s real estate activities established strongly, with a reputation synonymous with quality construction and timely deliveries. 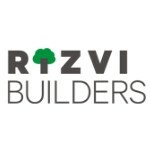 After having being rooted in the grounds of construction for 40 years, Rizvi Builders is now a formidable brand in real estate and is undoubtedly considered one of the larger players in the business.